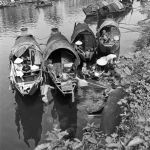 In this collection of black-and-white snapshots, a famed French photographer finds beauty in tumultuous 1950s Vietnam. 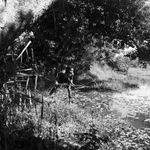 Black-and-white photography is often considered more challenging than its color counterpart, as photographers must rely on contrast and light to come up with interesting and captivating shots. French photographer Raymond Cauchetier, however, makes shooting sans color look easy. Cauchetier is perhaps best known for his work as a set photographer on Jean-Luc Godard’s 1960 debut film, À Bout de Souffle (Breathless). However not many know that before participating in Godard’s breakthrough film, Cauchetier began his career as a hobbyist while serving in the press corps of the French Air Force in Indochina. His platoon had neither the budget for a camera nor a cameraman back then, so he bought his own Rolleiflex and started snapping away. 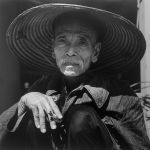 When his service ended, Cauchetier remained in Indochina and what was supposedly a short vacation resulted in a host of intimate portraits of local residents and their daily life.